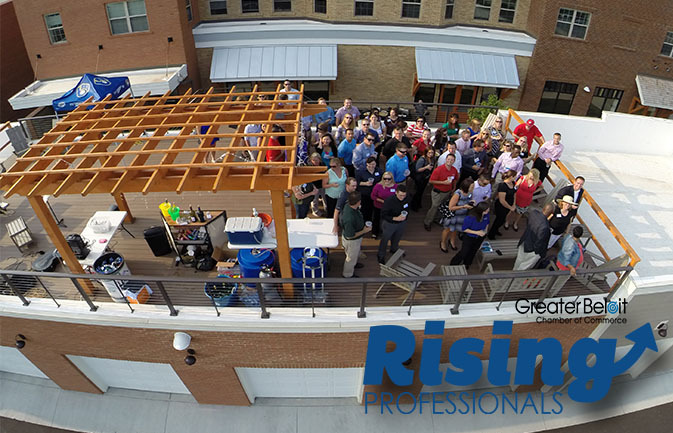 The Rising Professionals host luncheons for professional development, work with local leaders in Government Affairs, facilitate a mentorship program, and hold networking events. The group is led by a nine-member roundtable which meets once a month and oversees the professional development and mentoring, civic engagement and networking committees. Jeff Vohs has been involved with the Greater Beloit Chamber of Commerce for the past decade. He is president of the Chamber’s Ambassador Program and recently joined the Rising Professionals.